Eternal Orthodox Church calendar for the 21.08 year 2017. He was bishop in Cyzicus in the time of the wicked Emperor Leo the Armenian, the iconoclast. Refusing to carry out the imperial directive on the removal of icons from the churches, he was, along with other Orthodox bishops, sent into exile. He spent five years in exile, enduring many ills and much humiliation for the sake of Christ. He died in 820, and joined the company of the citizens of heaven. He was at first married, and was a Tabourer on the land, sharing the fruits of his farm joyfully and abundantly with the poor. He once caught some unknown thieves on his threshing-floor, stealing corn. Not saying who he was, St Myron helped the thieves to fill their sacks, lift them onto their backs and escape. For his outstanding virtues, he was ordained priest and later consecrated bishop. He was a great wonderworker and did many good and mighty works in the name of the Lord Jesus. He entered into rest in about 350, at the great age of a hundred. He was named "the Sinaite" because he became a monk on Mount Sinai. 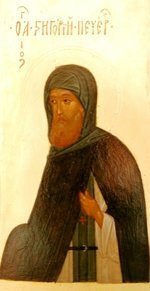 In the time of the Emperor Andronicus Palaeologus, in about 1330, he went to the Holy Mountain to visit the monasteries and discover more about mental prayer and contemplation. But these two spiritual exercises were little known at that time among the monks of the Holy Mountain. 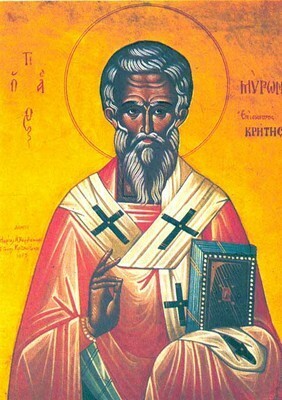 The only one who was experienced in them and practised them perfectly was St Maximus of Kapsokalyvia. Gregory spread his teaching on mental prayer through all the cells and monasteries of the Holy Mountain. 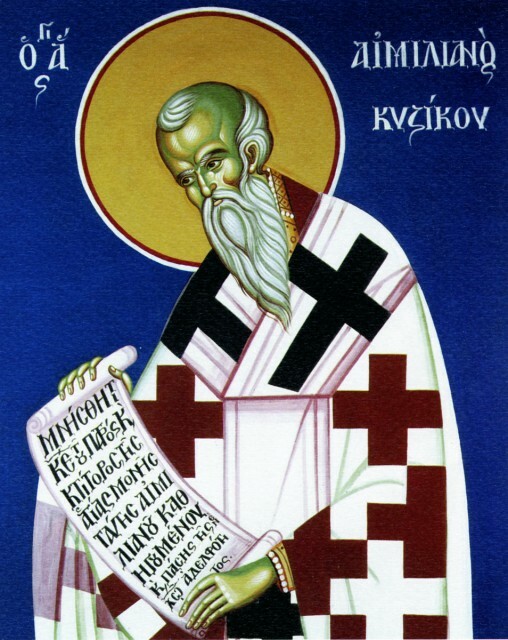 His most famous pupil was Kallistos, Patriarch of Constantinople, who wrote Gregory"s life. After that, Gregory went to Macedonia and to other parts of the Balkans, and founded communities in which the monks engaged in mental prayer, thus helping many to deepen their prayer and come to salvation. 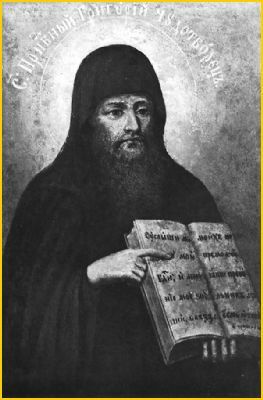 His writings on mental prayer and asceticism are found in the Philokalia. Among other things, he wrote the hymn to the Holy Trinity: "It is meet and right...", which is sung in the Midnight Office on Sundays. 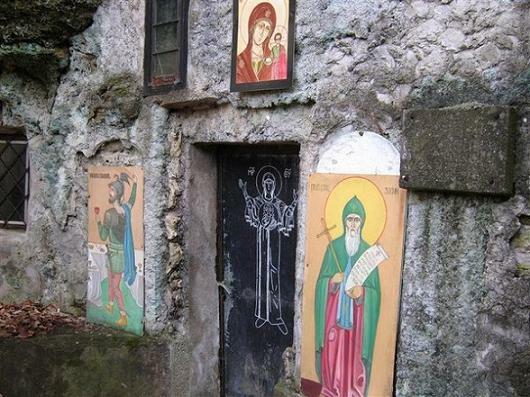 He stands among the most famous ascetics and spiritual teachers of the Balkans. He entered peacefully into rest in 1346, after a life of great toil, and went to the Kingdom of Christ. 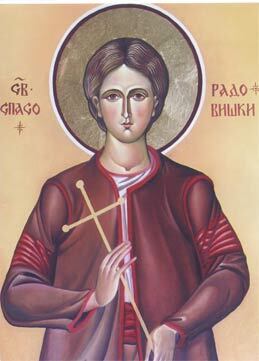 Triandaphyllos was born in Zagora and Spaso in Radoviste, in the diocese of Strumica. They were both Slavs, both young and simple men. But the love of Christ drew them out of the world and out of this life. They gave their lives, and remained faithful to Christ, suffering under the Turks for their faith: Tryandaphyllos in Constantinople in 1680 and Spaso in Salonica in 1794. He was a noble at the court of the Persian King Yezdegeherd. As he refused to deny Christ, the king sadly deprived him of his rank and possessions and sent him to look after the animals, being convinced that Gormizdas would soon grieve for his rank and possessions, and would worship idols. Gormizdas peacefully minded the cattle and remained faithful. The king therefore put him to harsh torture, which succeeded only in weakening the body of Christ"s martyr without affecting his soul. Finally, Gormizdas was killed, in 418, immediately after the martyrdom of St Abdus the Bishop (see March 31st). He suffered on earth, and was glorified in heaven. St. Zosimas the Sinaite of Tumana Monastery, Serbia (14th c.
The Tolgsk Icon of the MostHoly Mother of God appeared on 8 August 1314 to the Rostov Sainted-hierarch Prokhor (schema-name Tryphon). Going about his diocese, the saint visited the Belozersk environs and set off from there and set off thither nigh along the banks of the Rivers Sheksna and Volga, to Yaroslavl'. Having stopped with the approach of night 7 versts distant from Yaroslavl', at the right bank of the Volga River there flows opposite into it the River Tolga. At midnight, when everyone was asleep, the saint awoke and saw a bright light illuminating the surroundings. The light proceeded from a fiery column on the other bank of the river, to which there stretched a bridge. Taking up his staff, the saint went across to the other bank, and having approached the fiery column, he beheld on it the icon of the MostHoly Mother of God, suspended in the air. Astonished at the miracle, the saint prayed for a long time, and when he returned back, he forgot to take his staff. The next day, after making matins, when Saint Prokhor was preparing to continue his journey by boat, they began to search for his staff, but they were not able to find it anywhere. The saint then remembered, that he had forgotten his staff on the other bank of the river, whither he had gone across on the miraculous bridge. He then told about what had occurred, and sending servants across on a boat to the other shore, they came back and reported the news, that in the forest amidst the trees they had seen an icon of the Mother of God, next to his bishop's staff. The saint quickly crossed over with all his retinue to the opposite shore, and he recognised the icon that had appeared to him. Then after fervent prayer in front of the icon, they cleared the forest at that place, and put down the foundations of a church. When the people of Yaroslavl' learned of this, they came out to the indicated spot. 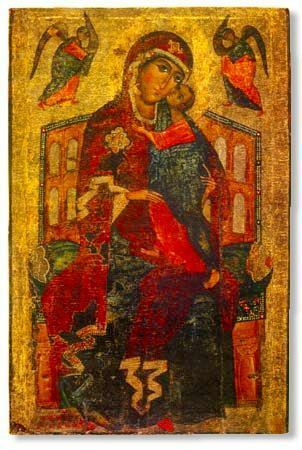 By midday the church was already built, and in the evening the saint consecrated it in honour of the Entrance ("Vvedenie") into the Temple of the MostHoly Mother of God, and having installed the icon there he established a feastday on the day of its appearance. Saint Prokhor later built near this church the Tolgsk monastery. Sainted Prokhor died on 7 September 1328. The Martyrs Eleutherias and Leonides were cast into a fire at a youthful age during one of the persecutions against Christians. On this day also are commemorated 10 Egyptian Ascetics – having died at sea, and 2 Tyrian Martyrs – dragged over the ground. The Monk Gregory, Iconographer of Pechersk, was a colleague of the Monk Alypii of Pechersk (Comm. 17 August). In the "Accounts about the holy iconographers" it says, that he wrote many a wonderworking icon located throughout the Russian Land. In the 9th Ode of the Canon of the Service to the Sobor-Assemblage of the Kievo-Pechersk Monastics, Reposed within the Nearer Caves (Comm. 28 September) – the Monk Gregory is termed a "byzantine". This signifies possibly that he was among the number of iconographers who had come from Constantinople to Kiev for the embellishing of the Great Church of the monastery, in honour of the Dormition-Uspenie of the MostHoly Mother of God.